I thought this book was a great read; Dr. Price's views are fair, well communicated and well argued. 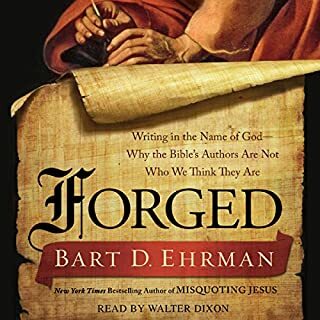 It is a fascinating look on how the arguments on many modern Christian apologists, don't hold up when you examine them with sufficient scrutiny. 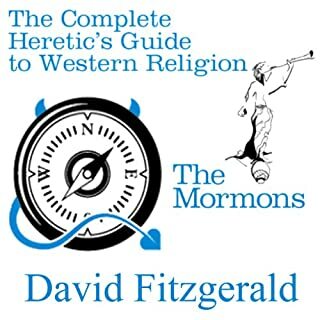 This is not to say that this is an anti-religious book. At many points Dr. Price will praise the works, of even conservative Christian scholars, who have made valuable academic contributions. One thing to note is this book does dive pretty deep into biblical studies. If you're new to the subject, you may find some sections quite difficult. But, if you already have familiarity with the subject, or are willing to occasionally pause the book and do a quick google search, you should get a lot out of it. The narration was also great, in fact I'd like to hear Dr. Price narrate other books (even other peoples) as he has a wonderful speaking voice. I like the detail that Price goes into to critique Strobel's arguments. That was, and is, what I was looking for. The gratuitous comments about their lack of scholarly character, their personal and philosophical interchangeability, and the similarity of their arguments to those of college evangelists add nothing, and tarnish the arguments by appearing too personally invested in denigrating Strobel and his ilk. Price's legitimate critiques would probably better be read with a good Bible at hand for reference than listened to on a daily bus commute. What made the experience of listening to The Case Against the Case for Christ the most enjoyable? Having Robert Price read it himself adds a personal twist that gives the reading a comical wit only the author could replicate. If any of you have ever listened to him debate or give a speech, Price has a fantastically impressive and entertaining way of making analogies that throughly debunks Strobel. Price with his scholarship, has Strobel consistently on the ropes without ever resorting to poor arguments. The way Price unveils Strobel's disingenuous questions of "stacking of the deck" in interviewing mere apologists, and even then the cards embarrassingly come out disordered and unreasonable to the naked eye of reason. What does Robert M. Price bring to the story that you wouldn’t experience if you just read the book? I would buy all his books on audible if Price read them! so entertaining to listen, on top of Price dropping tomes of knowledge embarrassing anyone who hasn't done his homework. His podcast is also entertaining, but this listen is an absolute favorite. The fact that Price debunks the whole of Strobel's book on purely evidentiary scholarly grounds which enlightens us all to see through the bias agenda of apologists. And despite all the explanatory information Price gives, the review is not at all boring and all the more entertaining and understandable for the layman who merely appreciates what is true. Robert Price goes into more detail than I could process in one go. I have to read it a few times, stoping and starting if I want to follow along. This is wonderful. Having a biblical scholar who doesn't explain the history, language, and cultural details with a religious bias is great. Thank you Robert Price! The author demonstrates he is a post-modern, superpowered, deconstructed, demigod. I learned so much. Thanks. After reading Strobel's book I was left with more questions than answers. When I found this I immediately downloaded and after the first three chapters I was completely engrossed. Price's narrating style melds perfectly with his writing, and is as good as the book itself. I was surprised at how many times I found myself laughing while listening; he is a treasure of one-liners and dry wise cracks. I admittedly had to do some cross-referencing for some biblical terms. Some of the book is a bit esoteric ("they didn't teach me THAT in Sunday school!") but it is absolutely worth putting a little work into Goggle scholarly for understanding. 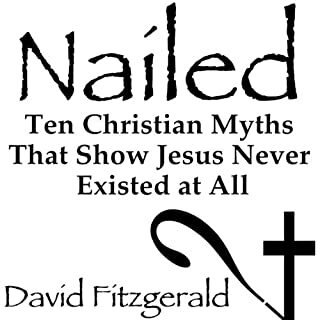 For any one recovering from a lifetime of apologetic indoctrination, this book is a welcome refreshment. 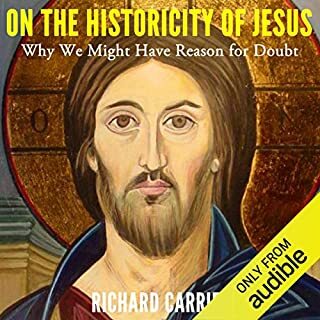 It succinctly characterizes exactly where the logical fallacy is in so many of the revered apologetics of mainstream Christianity. And it's packed with good citations for further research. 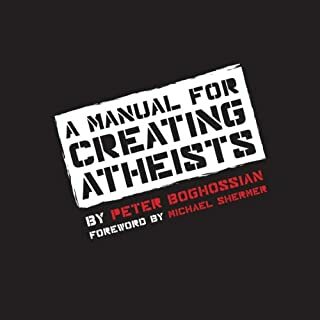 Robert narrates his own writing so fluidly you forget he's reading, and it sounds just like his usual off-the-cuff self complete with hilarious caricatures of popular televangelists, theologians and Hollywood icons like Jack Nicholson and Ronald Reagan. Plus numerous allusions to Monty Python's the life of Brian. I'm on my third listen now, which is probably necessary to absorb some of the more subtle points made. this book does assume you have a general knowledge of Bible scholarship, and certain subtleties might be lost on you without this as a primer. 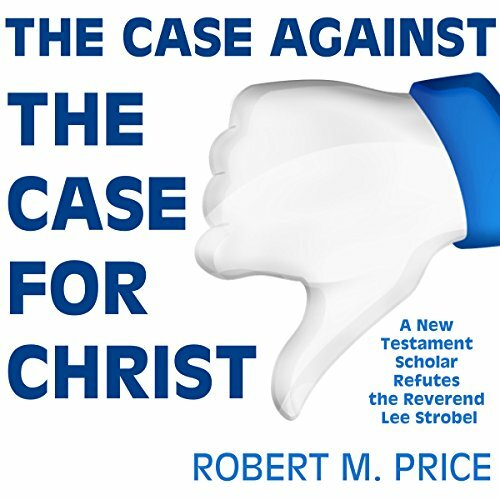 Only Robert M Price is knowledgable enough AND honest enough take on the cynical wing of christian apologist establishment. 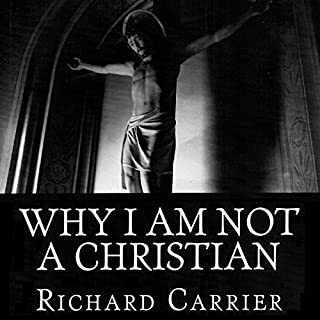 Unless you prefer blissful ignorance, The Case Against The Case For Christ is a must read, and reread. Found the delivery too monotone and the pace too constant, as if using a metronome. Made it hard to follow. The author is undoubtedly very well read. He makes some very good arguments on text I've always had questions about. He brings a perspective never told by evangelical Christian. Some of his points were lost to me due to his extensive background and references that I am unfamiliar with. He also made long arguments on points to which I missed the punchline. I would have really appreciated the book much more if it were not written in such a snarky, condescending tone. Nonetheless, I was glad to stick with The book to the end. More Robert M. Price Audiobooks, Please. Thoroughly entertaining scholarly rebuttal to some apologist guff you most definitely do not need to read to get a lot out of this book. Dr. Price is brilliant and funny. Until more audiobooks are available, search out the Bible Geek podcast. I really enjoyed this book in fact I'm going to listen to it again straight away.